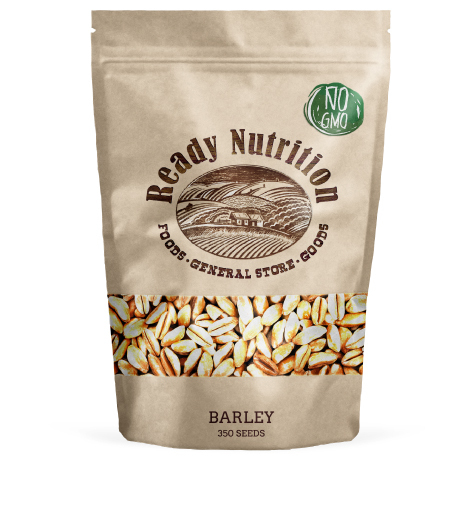 Feed your family with the fantastically hearty cereal grain that’s perfectly adapted for a variety of uses in the kitchen such as grinding for flour, sprouting the seed for Barley Grass as well as making some of the good stuff — beer. This high-yielding Barley can be planted in the Spring and Winter seasons. Makes excellent fodder for livestock, too! Barley is rich in dietary fiber, niacin (Vitamin B3), thiamine (Vitamin B1), selenium, iron, magnesium, zinc, phosphorus, and copper.